Florence + The Machine unveil new single "Moderation" & b-side "Haunted House"
Florence + the Machine have debuted two new songs, "Moderation" and "Haunted House" which you can listen to below. The tracks are produced by James Ford, "Moderation" is another driving force of nature that sees Florence’s new-found confidence ride high when it comes to love and relationships. In contrast, "Moderation" is backed by the more delicate "Haunted House", produced by Matthew Daniel Siskin (Gambles), it’s an open and exposing song that captures Florence’s more intimate vocal style. 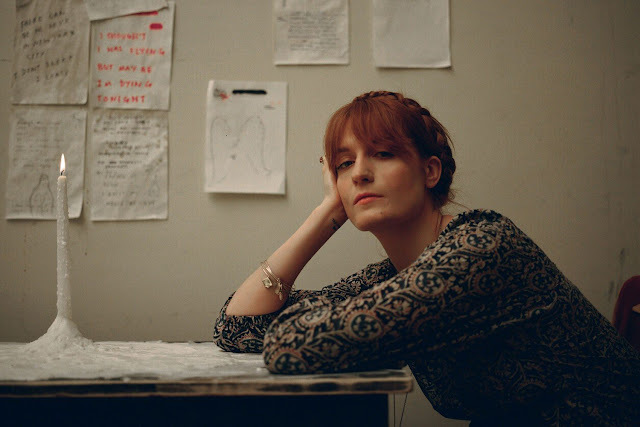 The two new tracks mark the first new music from Florence + the Machine since their massively acclaimed 2018 album "High as Hope", which was nominated for the Mercury Prize.